Located in the heart of Northeast Tarrant County in the Dallas – Fort Worth Metroplex, the City of Southlake is perched almost equidistant between two of Texas’ largest cities. This unique location offers all of the amenities of big city life, while maintaining a cozy, small-city feel inside of its confines; both of which make Southlake real estate so attractive. The Southlake Carroll Independent School District epitomizes academic excellence, and is awarded “exemplary rating” by the Texas Education Agency almost yearly. However, Southlake Carroll isn’t just an academic powerhouse. 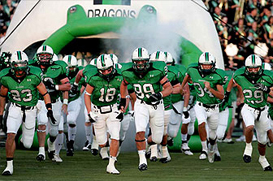 The City of Southlake boasts one of the best High School football programs in the nation, as the Southlake Carroll Dragons were last year’s Texas State Champions in 5A football. Plus, Tarrant County College, the University of North Texas, and the University of Texas at Arlington are all within a quick commute, making it an easy trip for college students living in the Southlake area. Home to major national corporation Sabre Holdings (owner of Travelocity), Southlake’s local economy is very strong, making it nearly recession-proof and home to one of the premier residential real estate markets in the DFW Metroplex. And when it comes to entertainment, Southlake boasts it’s very own “Town Square,” an open-air shopping mall that houses all of the finest in national and regional retail shops. Southlake is also the sports-lover’s paradise, as the Texas Rangers, Dallas Mavericks, and Dallas Cowboys all play within a half-hour’s drive from town. Regardless if your tastes run from professional sporting events, to local high school or college sports, Southlake provides something for all. For a taste of the outdoors, lovely Grapevine Lake is just a quick drive from Southlake. Whether it’s Southlake real estate you’re interested in for a prudent investment, or you’d like to move in to the city to start a family, the City of Southlake is an excellent destination. With its exemplary schools, marquee real estate, and extraordinary proximity to both Dallas and Fort Worth, Southlake is the ideal locale for you and your family.